Aptly named BOLD, the newly-created Belmont University Office of Leadership Development officially launched last week with its first student leadership programming — the BOLD Moves Leadership Challenge. 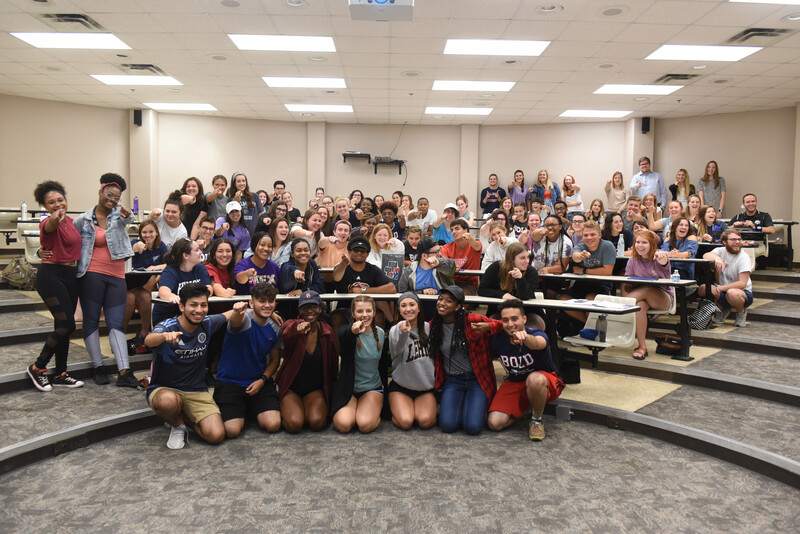 The experience, which began when students arrived to campus last week, exists to provide a comprehensive student leadership development experience that encourages participants to clarify their individual and group values and align those values with their actions. Through this experience, students began to understand and model what leadership looks like at Belmont — through the lens of service. The first few days of their time on campus was spent in the classroom as 17 staff and faculty from 10 offices across campus facilitated interactive learning sessions with participants. Covering the basics of leadership, behaviors effective leaders portray, the importance of forming well-developed group values and more, these sessions allowed participants the opportunity to understand their own leadership style before putting it into action. But it wasn’t all business. After their training, the BOLD Moves crew, which included 65 students in total, took to the city to experience some of what Nashville has to offer. After spending the morning on Friday at Top Golf, the group headed downtown for a round of laser tag before coming back to campus to prep for their busy weekend. Demonstrating the true meaning of service, the students completed their BOLD experience by assisting Residence Life with moving 2,200 upperclassmen and 900 freshmen into their dorms across campus. Now that the week is over, participants can continue in BOLD’s ongoing leadership development experience, Bruin Lead. Though student leadership opportunities have always been available across campus through a variety of programming, BOLD captures all leadership training that Belmont provides and houses it in a central location. Additionally, it allows students to engage with intentional leadership development programming all throughout their college career. And it’s not just reserved for those who hold a traditional leadership position.